Former Presidents Bush, Reagan, Carter, Ford, and Nixon. 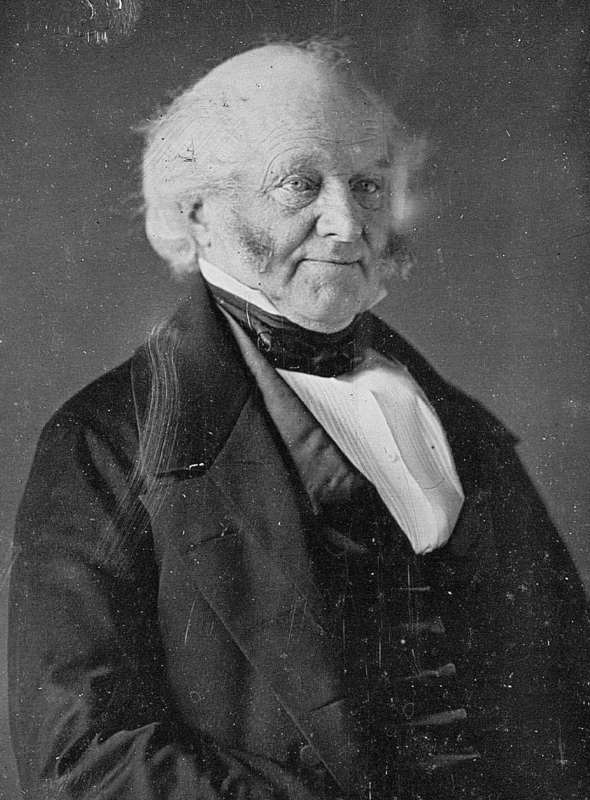 When President Martin Van Buren died, 19 of his successors had already been born. At the onset of the Civil War, four of them — John Tyler, Millard Fillmore, Franklin Pierce, and James Buchanan — joined Van Buren in that exclusive category, former presidents. 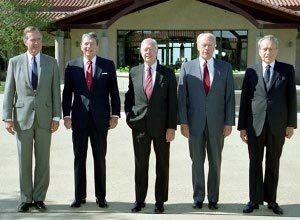 That was the only time five former presidents were living at one time until 1993 when Richard Nixon, Gerald Ford, Jimmy Carter, Ronald Reagan, and George H.W. Bush were still kicking around. It happened again in 2001 with Carter, Ford, Reagan, Bush, and Bill Clinton. The quintet that formed a sort of elite gallery watching the Union unravel are usually ranked in the bottom dozen or so when retrospective experts, who never faced such decisions, cast their ballots. But none of the former presidents saw themselves that way and, in that rough-and-tumble time, they didn’t pose as aloof elder statesmen while Abraham Lincoln dealt with the crisis of secession. What they did do is the subject of The Presidents’ War by Chris DeRose. This is an unusual and possibly unique approach to the history of the three decades leading up to the war and the prosecution of the war itself. The Civil War is sometimes remembered simplistically as a war over slavery — either over whether slavery should be permitted in new states as the nation expanded westward or whether it should be abolished altogether. Both of these questions were at issue, but the controversy was more complicated than that because it was intertwined with the evolving understanding of the relationship between the states and what was then often referred to as the “general government” — the federal government. The rights of individual states vis-a-vis the federal government are still the subject of often contentious discourse, but the question was far less settled in the decades before and immediately after the Civil War than it is now. Differing views over that question led to a crisis in 1832 when South Carolina declared that tariffs imposed by the federal government that year and in 1828 were null and void. 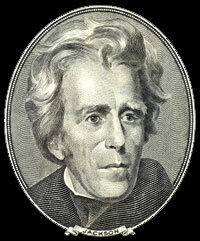 Andrew Jackson, a tough customer, was president at the time, and he ordered that the duties be collected by whatever means were necessary and he formally declared that states did not have the power to nullify federal regulations or leave the federal union. The crisis was put off, in a sense, by a political compromise; it was put off, but not settled, and it would simmer and occasionally come to a boil until it exploded in secession and war. After Jackson, eight men, beginning with Van Buren, would exercise the executive authority while these fundamental questions remained unresolved and repeatedly threatened to rupture the union. Two of them — William Henry Harrison, the ninth president, and Zachary Taylor, the twelfth president, would die in office and would not play a significant role in government, and one of them, James Knox Polk, the 11th president, would die shortly after leaving office in 1849. Those five who would live to see the nation descend into the bloodiest war in its history had differing points of view on the seminal questions of the time. Although they are usually overlooked or derided in accounts of this period, DeRose explains in detail how they all were engaged in promoting their positions and often were active participants in the political dynamics of the time. 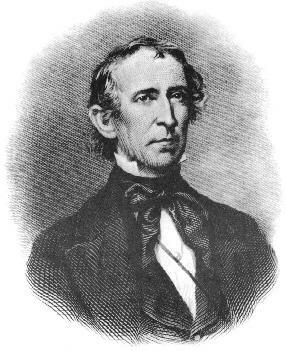 Perhaps the most interesting character DeRose brings back into the light is John Tyler of Virginia, the first man to serve as president without being elected to the office (succeeding Harrison, who died after a month in the White House) and the only former president to become a sworn enemy of the United States. During the administration of James Buchanan, Tyler acted as a go-between seeking an accommodation between the United States and the newly formed Confederacy. Tyler promoted and chaired a ill-fated peace convention in 1861 and then participated in the convention in which Virginia voted to secede from the Union. 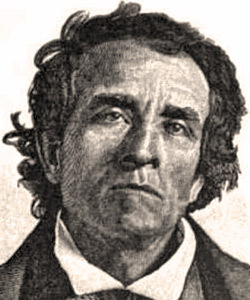 Tyler was eventually elected to the Confederate Congress, although he died before he took his seat. Although the circumstances were dubious, this last achievement made him one of only four former presidents to serve in public office, the others being John Quincy Adams, Andrew Johnson, and William Howard Taft. 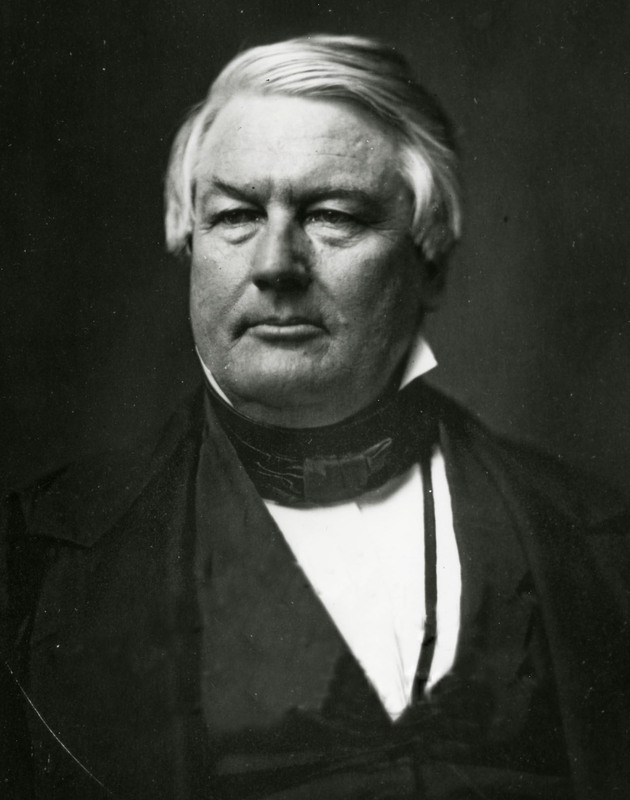 Fillmore was elected vice president on the ticket with Zachary Taylor and was vaulted into the presidency by Taylor’s death. He, too, skated on the thin ice between his own professed abhorrence of slavery and both the fact that it was protected by the Constitution and his desire to avoid antagonizing the southern states. He was sufficiently repulsed by slavery, in fact, that he raised money and contributed some of his own to enable his coachman to buy his own freedom and that of his family, but Fillmore supported enforcement of the fugitive slave law because it was the law of the land and because, like his four contemporaries, he did not want to provoke the South into Civil War. Three years after he left office, he unsuccessfully ran for president on the ticket of the anti-Catholic American Party, although he himself was not anti-Catholic. Although he was opposed to secession, he did not support Lincoln’s decision to emancipate slaves as a means of expediting an end to the war. 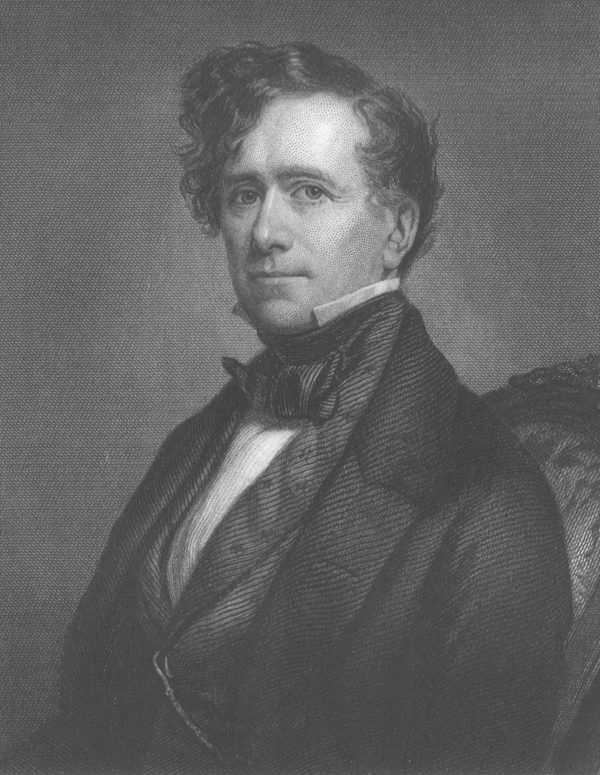 Franklin Pierce of New Hampshire, who was a brigadier general during the war with Mexico, was a Democrat who was opposed to secession but openly supported the institution of slavery in the South. He was a close associate of Jefferson Davis, who became president of the Confederacy, and antagonistic toward Lincoln. Pierce, who was beset by personal tragedy and drinking problems, attempted to undermine Lincoln’s policies by organizing an unprecedented “commission” of the living former presidents to mediate the differences between North and South. The commission, which would have been heavily weighted against Lincoln’s positions, never materialized. James Buchanan of Pennsylvania, Lincoln’s immediate predecessor, had adopted the problematic view that states did not have a right to secede from the union and that the federal government did not have the power to stop them by force. Buchanan, who had had a distinguished career, particularly as a diplomat, failed to preserve the peace between North and South and left office stinging with the idea that he would be regarded as a failure as president. It wasn’t known at the time, but he had exerted pressure on the Supreme Court to broaden its pending ruling in the Dredd Scott case to not only determine Scott’s status but to state that Congress did not have the power to prohibit slavery in the western territories. He spent his retirement years at his home in Wheatland, but he persistently trumpeted the idea that his policies were precursors to Lincoln’s. Buchanan busied himself during that time writing a memoir in hopes of vindicating himself, but he is generally regarded as having been hopelessly inept, at least with regard to secession. If the Chicago Tribune had it right, William H. Seward was the prince of darkness. This demonic imbecile, as some editors would have it, is the subject of Walter Stahr’s comprehensive and engaging biography, Seward: Lincoln’s Indispensable Man. Stahr has a somewhat different take than the Tribune’s Joseph Medill. While Stahr acknowledges that Seward was overly optimistic about prospects for the federal government to prevail over the seceding states, and while he acknowledges that Seward sometimes turned to political chicanery and downright dishonesty, he also regards Seward as second in importance during the Civil War era only to Lincoln himself. Seward, a former governor of New York and United States Senator, was by Stahr’s account, very close to Lincoln personally, which probably contributed to the rancor directed at Seward from others in the government who wanted the president’s attention. Their relationship was interesting in a way that is analogous to the relationship between Barak Obama and Hillary Clinton in the sense that Seward was Lincoln’s chief rival for the Republican presidential nomination in 1860. Seward’s presidential ambitions, which were advanced by fits and starts by the political instigator Thurlow Weed of New York, are well documented in this book. But, as Stahr makes clear, Seward’s disappointment at losing the nomination to Lincoln did not prevent him from agreeing to serve with Lincoln at one of the most difficult periods in the nation’s history nor from serving him loyally. As important an office as secretary of state is now, it was even more so in the 19th century, because its reach wasn’t confined to foreign affairs. It wasn’t uncommon for the secretary of state to be referred to as “the premier.” At first, Seward’s view of the office might have exceeded even the reality; he seems to have thought at first that he would make and execute policy and Lincoln provide the face of the administration. Lincoln soon made it clear who was in charge, and he and Seward worked well together from then on. Seward’s service in Lincoln’s administration nearly cost him his life on the night that Lincoln himself was murdered by John Wilkes Booth. One of Booth’s accomplices, Lewis Payne, forced his way into the house where Seward was lying in bed, recovering from injuries he had sustained in a serious carriage accident. Payne, who was a wild man, tore through the place, cutting anyone who tried to stop him, and he attacked Seward, slashing his face. Payne fled the house — he eventually hanged for his crime — and Seward survived. After the double trauma of Lincoln’s death and Seward’s own ordeal, it would have been understandable if Seward had withdrawn from public life. Seward wasn’t cut of ordinary cloth, however, and he agreed to remain at his post in the administration of Lincoln’s successor, Andrew Johnson. 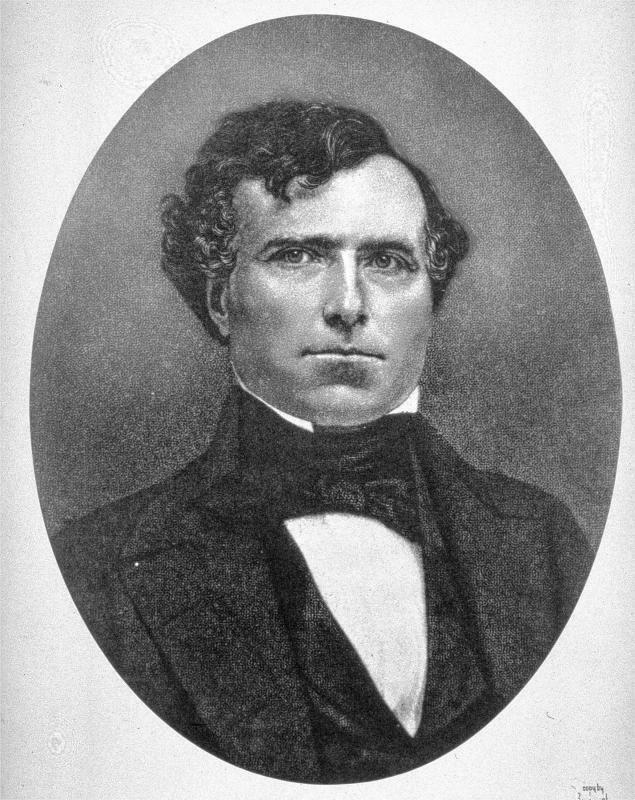 Johnson was an outstanding American in many respects—he was the only southern member to remain in his U.S. Senate seat after secession, and he gave up the relative safety of the capital and took his life in his hands when Lincoln asked him to serve as military governor of Tennessee — but he was not suited for the role that was thrust on him by Booth. Stahr explores the question of why Seward stayed on during the troubled years of Johnson’s tenure. He infers, for one thing, that Seward agreed with Johnson’s idea that the southern states should be quickly restored to their place in the Union without the tests that the Republican majority in Congress, and especially the “radical” wing of the party, wanted to impose. Stahr also writes that Seward believed that if Congress succeeded in removing Johnson on impeachment charges that were politically motivated it would upset the balance of power in the federal government for decades to come. I mentioned Seward to a co-worker today, and she said, “of the folly?” She was referring to the purchase of Alaska, which Seward completed during Johnson’s administration. Stahr writes that much of the press supported the purchase of “Russian American” at first, and although the term “folly” was tossed about later, prompted in part by Seward’s further ambitions for expansion, the epithet was never widely used. Alaska was only one of Seward’s achievements. He was a skillful diplomat who was equipped to play the dangerous game that kept Britain and France from recognizing the Confederate States of America. 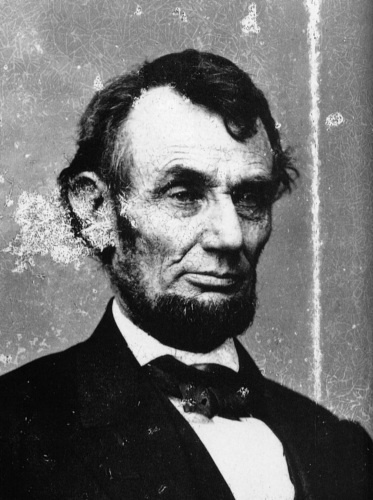 Although he may have underestimated the threat of secession and the prospects for a protracted war, he was at Lincoln’s side every step of the way—playing a direct role, for instance, in the suspension of habeas corpus and the incarceration of suspected spies without trial. He was not an abolitionist—and in that respect he disagreed with his outspoken wife, Frances— but Seward was passionate about preventing the spread of slavery into the western territories. He believed that black Americans should be educated. He did not support fugitive slave laws and even illegally sheltered runaway slaves in his home in Auburn, N.Y.
Seward was a complicated character who stuck to high moral and ethical standards much of the time, but was capable of chicanery, deceit, and maybe even bribery if it would advance what he thought was a worthy purpose. When we learn about history, we learn mostly about men. This is something on the question of time. The curriculum in grade school and high school – and even in college for those who aren’t history majors – skims the surface. With respect to many epochs, that means leaving women out of the story, precisely because women were precluded from participating in what went on on the surface. Oh, we got an occasional glimpse of the other half of the population: Cleopatra, Catherine the Great, Queen Victoria, Betsy Ross, Harriet Beecher Stowe, Madame Curie, but the story overall was badly skewed. This phenomenon is addressed in “Civil War Wives” by Carol Berkin, a book published last year. I read this book because I got it as a Father’s Day gift from one of my daughters — all of whom, by the way, are special women in their own rights, and that has a lot to do with their mother. Carol Berkin writes about three women who lived through the Civil War period and were directly affected by the war itself and the events and conditions surrounding it. These women were Angelina Grimke Weld, an abolitionist and feminist; Varina Howell Davis, who was married to Confederate President Jefferson Davis; and Julia Dent Grant, who was married to Ulysses S. Grant, Civil War general and postwar president. I had some knowledge of Varina Davis and Julia Grant before I read this book, but I had not heard of Angelina Grimke Weld, who was an independent thinker from childhood. She was the daughter of a slave-holding plantation owner and judge in South Carolina, but she never accepted the precepts by which her parents lived — including human slavery, self-indulgence, and the notion that women should be happily subordinate to men. Berkin recounts the process through which Angelina and her sister Sarah moved north and engaged in a prolific campaign against slavery and for women’s rights. 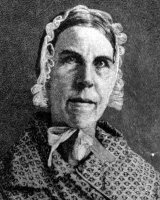 Angelina Grimke in the 1830s was arguing for full citizenship for women — up to and including election to the presidency of the United States. (How impatient it must make her, wherever she reposes, to know that the nation still hasn’t chosen a female president.) 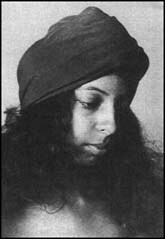 She was making that argument at a time in which her public appearances, usually with Sarah, were regarded by many people as inappropriate for a woman – particularly when the sisters spoke to audiences of mixed gender and even of mixed race. Angelina married the abolitionist Theodore Weld, and Berkin reports that abolitionist organizations leaned on the husband — who bent a little — to discourage his wife from distracting from the antislavery message by arguing for women’s rights. 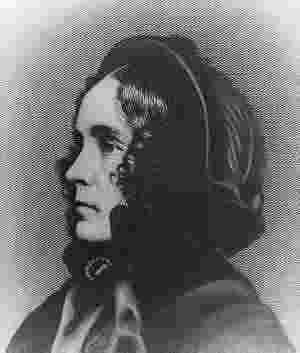 When Varina Davis first became engaged to Jefferson Davis, she was 17 years old and he was about twice her age. He had been married many years before, but his first wife died shortly after the wedding, and he may never have fully recovered from that loss. Varina Davis was loyal to her husband while they and their larger family were buffeted by illness, death, financial crises, infidelity, and the many shocks associated with the Civil War. However, theirs was hardly an ideal marriage. 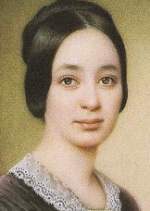 Varina was also the daughter of a southern slaveholder, but she was an independent thinker and her thoughts were not always in concert with those of her family or her husband. Jefferson Davis did not admire this trait in his wife, and he admonished her throughout their lives together about her penchant for expressing herself on public matters. For Varina Davis, one of the most painful episodes of a life full of painful episodes must have been the imprisonment of her husband for two years at Fort Monroe in Phoebus, Virginia. She tirelessly but fruitlessly campaigned to get President Andrew Johnson to intercede on Jefferson Davis’s behalf. She persisted, however, and eventually succeeded not only in getting improved conditions for the prisoner but in getting permission to move into an apartment at the prison herself so that she could visit him regularly. 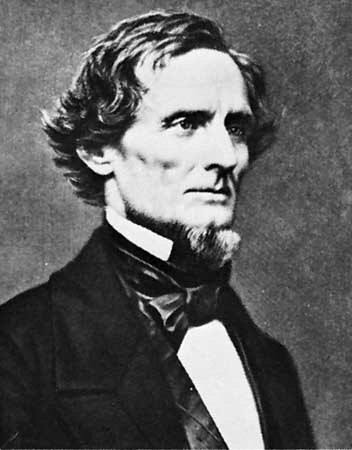 After the death of Jefferson Davis, Varina shocked southern society by moving north and associating with folks who were anathema in the former Confederacy. One of them was Julia Dent Grant, whose husband had taken compassion on Varina and intervened for the imprisoned Jefferson Davis. Varina also took up a career as a newspaper journalist for Joseph Pulitzer’s New York World. Julia Grant was like the other two subjects of this book in that she was also the daughter of a slave-holding planter, but she was quite a different personality. She was a homely girl – and had a crossed eye to boot, but she was never allowed to think of herself as anything but a princess, thanks to a doting father. She was raised in leisure, and she celebrated that fact for the rest of her life. She did exhibit independence with respect to one, critical, point in her life. 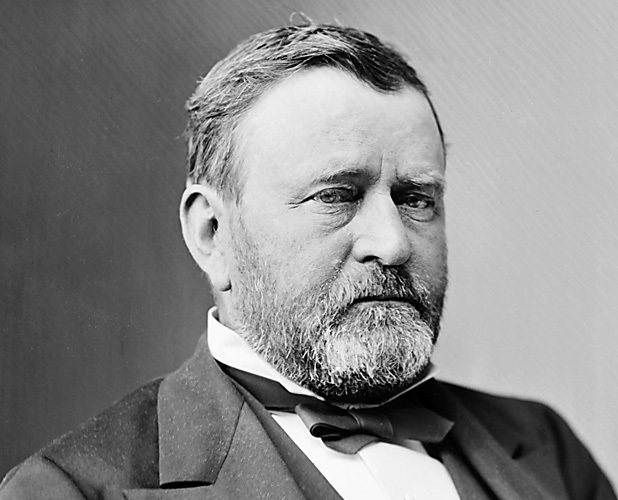 She persisted in her determination to marry Ulysses S. Grant over the objections of parents who didn’t think the soldier could provide the kind of life Julia wanted and deserved. Ulysses did leave the military after the marriage, but he was not cut out to be a businessman, and he failed repeatedly. His return to arms, of course, led to his greatest successes in life — all of them on the battlefield — and also led to his election to two terms as president, terms that were ridden with scandal, thanks to Grant’s friends and even, in one instance, his brother-in-law. 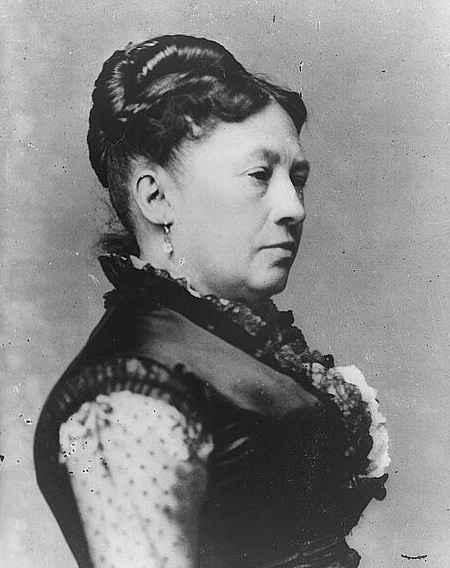 Julia Grant was spoiled, but she was not petulant, and she weathered the changes in her life brought on by marriage to both an unsuccessful businessman and to a soldier. She reveled in her role as First Lady, and got generally good reviews for her performance as the social leader of the capital. She was not well informed about public affairs, and her occasional attempts to remedy that were not encouraged by her husband, who liked to think of her more as a loving spouse than as a helpmate. One thing was certain, as Berkin emphasizes: Julia and her “Uly” were in love — as much so on the day he died of throat cancer as on the day they were engaged. 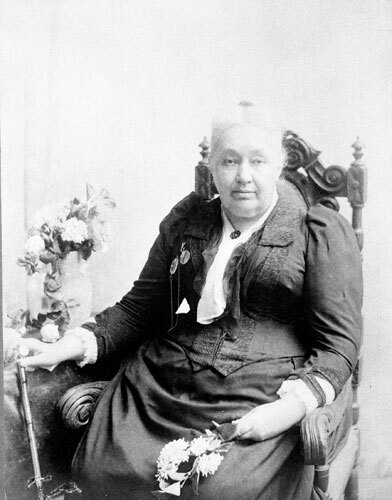 Julia Grant, as a widow, was at West Point when she learned that Varina Davis was staying nearby. Julia went to Varina’s room and introduced herself, and the two became friends. It was a suitable gesture for Julia to make, both because Varina had never forgotten the general’s help for her imprisoned husband and because Grant — once the scourge of the South — had left instructions that his casket be carried to its tomb by equal numbers of Union and Confederate generals. The recent decision by President Obama to remove Gen. Stanley McChrystal from his command in Afghanistan in favor of Gen. David Petraeus prompted a lot of people to reflect on the analogous event involving President Truman and Gen. Douglas McArthur. My mind reached back further, however, because I happened to be reading Lincoln and McClellan, a recent book by John C. Waugh about another president and general whose relationship came to grief. Maj. Gen. George B. McClellan is remembered today mostly for his reticence on the battlefield and for the effect that had on Abraham Lincoln. Lincoln finally removed the general from command of the Army of the Potomac after the carnage at Antietam. It’s hard to say that there was a winner or loser in that awful battle, but Lincoln’s frustration was that McClellan let Robert E. Lee and his army slip away without pursuit — this after McClellan had repeatedly resisted Lincoln’s urgings to attack or pursue the enemy. In a way, McClellan, like so many of his contemporaries, was one more victim of the Civil War. He was a charismatic and erudite man who was well trained at West Point — but not as a fighter. 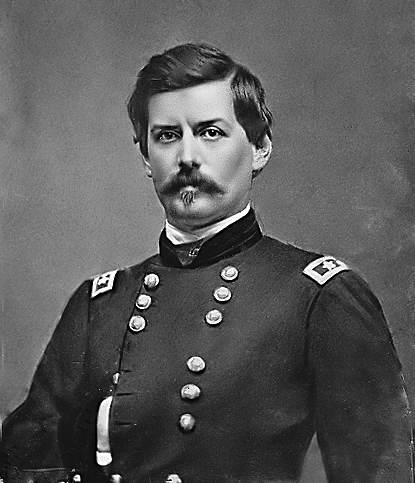 McClellan had served in the Mexican War and had left the army for a lucrative executive position with a railroad, but he returned to arms when secession made war inevitable. Lincoln called on McClellan after the disaster of First Bull Run, and McClellan used his considerable skill to, in effect, create the Army of the Potomac and mold it into a formidable fighting force. His personal qualities endeared him to the troops, and that sentiment spilled over to the Northern public. McClellan was lionized as a new Napoleon. He believed his own publicity, but he fell short of its promise. Among his errors were that he was never quite satisfied with the readiness of his army and that he wildly overestimated the size of his enemy with the result that he ended up being embarrassed by much smaller forces than his own. 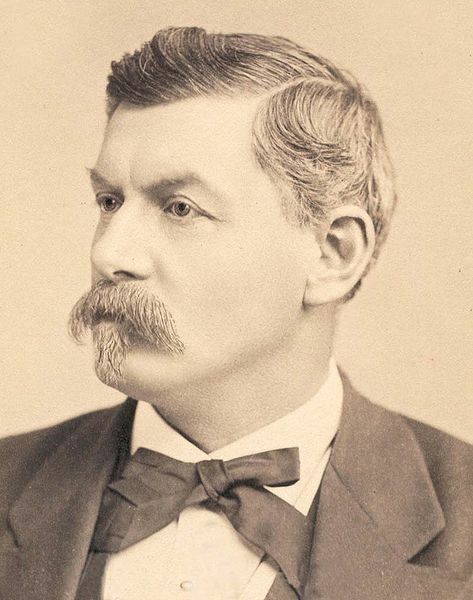 Although McClellan ran for president in 1864 and in later life served as governor of New Jersey and campaigned for Democratic presidential candidates Winfield Scott and Grover Cleveland, he hated politics and despised politicians. 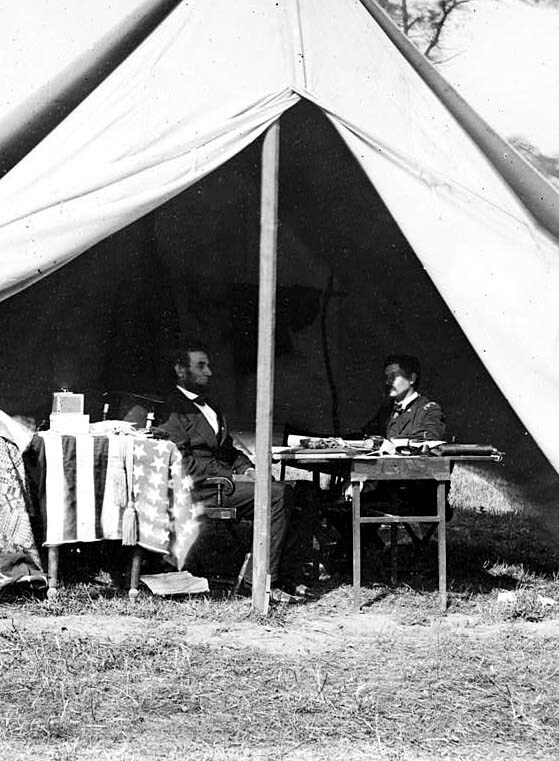 He resented any interference in military affairs by civilian authorities, and that put him on a collision course with Lincoln who, for better or for worse, had his own ideas about strategy and let the general know about them. There were bitter exchanges between McClellan and both Lincoln and Secretary of War Edwin Stanton, who was something of a troublemaker in his own right. This condition was complicated by the fact that McClellan came from an elite Philadelphia family and regarded people with humbler pedigrees as his social and intellectual inferiors — and that included, one might say especially, Abraham Lincoln. In letters to his wife, Ellen Marcy McClellan, the general dismissed Lincoln as “an idiot” and “a gorilla.” This was consistent with a pattern in McClellan’s life in which he usually regarded his superiors as incompetent. Like many or maybe most northerners, McClellan was not concerned about the institution of slavery or about the slaves themselves, and he insisted that they were not a factor in the war. 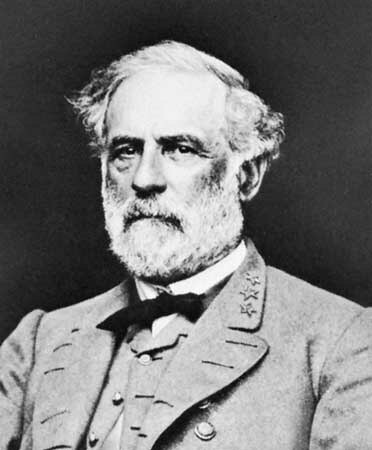 He maintained that the war should be conducted with the least possible impact of southern institutions and property – and he pointedly included slavery and slaves in that philosophy. As as result, he was scandalized when Lincoln issued the Emancipation Proclamation, and the fact that Lincoln insisted that the proclamation was a war measure didn’t mitigate McClellan’s disgust. McClellan has often been brushed off as an almost comical figure who dithered while Lincoln fumed, but passing easy judgment on the men and women who lived through and participated in the war and the events surrounding it is a disservice to them. That’s why I appreciate books like this one, in which John Waugh presents a balanced view of the life and career of a complicated man caught up in a complicated epoch. When I was a kid, a bubble gum company came out with a line of president cards which I guess were intended as the nerd’s alternative to baseball cards. I was into baseball – including the cards – but I was also into history. Also, my Dad owned a grocery store, so I had easy access to whatever the gum companies were peddling. I recall sitting across from my father at the kitchen table. He held the president cards, arranged in chronological order, and I would try to list them from memory. I can still hear him saying one night when I got stuck somewhere in the latter 19th century: “C’mon! What street does your Aunt Ida live on?” The answer was Garfield Place, as in James A. 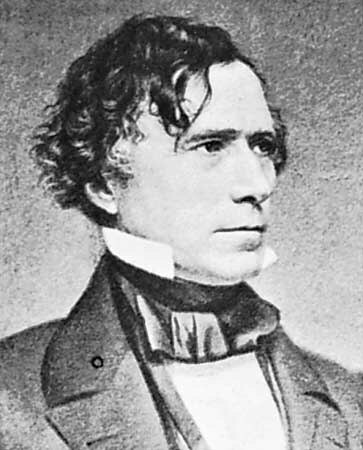 It occurred to me at that young age – it was during Dwight Eisenhower’s first administration – that Franklin Pierce had the best-looking face on those cards. Pierce is the subject of a new little biography – part of a Time Books series on the presidents. This one is written by Michael F. Holt, a history professor at the University of Virginia and an expert on the political life of the country in the years leading up to the Civil War. Sure enough, Holt points out that Pierce was not only handsome, but charming and warm hearted as well. Unfortunately, those qualities carried a lot more weight in the internal politics of Democratic New Hampshire than they did when spread out over a nation that was on the verge of committing suicide over the issue of expanding slavery into the western territories. In fact, Pierce was nominated for the presidency in 1852 not so much because his party thought he was the Man of the Hour but because the party couldn’t muster a winning vote for any of the three leading candidates – one of whom was not Pierce. He was the original Dark Horse, as far as the presidency of the United States was concerned. Pierce actually showed some skill in managing the foreign affairs of the country, and he directed the Gadsden Purchase, which was the last major territorial acquisition in what is now the contiguous 48 states. But the crisis of the moment had to do with whether the institution of slavery was going to migrate west along with settlers – an argument that many thought had been closed with the Compromise of 1820. Pierce’s attitude on this issue was complex. First of all, he was a strict constructionist, meaning that he didn’t believe the federal government had any right to interfere in the internal affairs of states, including slavery. Pierce was not pro-slavery per se, but he believed that as long as slavery was protected by the Constitution, the federal government had no right to intrude. Pierce was also fiercely determined to hold the Union together, and that inspired his loathing of the abolition movement. He considered abolitionists fanatics whose shenanigans were threatening the solidarity of the nation. And so, Pierce was a New Englander who consistently supported the Southern slave-holding oligarchy. Another error in Pierce’s thinking, Holt explains, was an attempt to unify the Democratic party – which was suffering regional and philosophical tensions – by doling out federal patronage jobs to men who represented the whole spectrum of opinion. 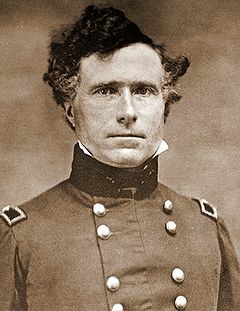 Among other things, he appointed his friend Jefferson Davis – soon to be president of the Confederacy – as Secretary of War, a move that did not endear Pierce to northern interests that despised and feared the southern plantation establishment. Rather than unifying the party, this policy succeeded in irritating just about everybody but those who got lucrative or influential positions. Pierce made enough mistakes that he was denied re-nomination by his own party. He was gracious in defeat, Holt reports, but he had to have been sorely disappointed. Among those who probably was not disappointed at all was the president’s wife, Jane Appleton Pierce, who had no patience with politics or life in the capital. In fact, when a rider caught up with the Pierces’ carriage to report that Pierce had been nominated for president, Jane fainted dead away. The poor woman was shy and fragile, and she and her husband endured a series of tragedies that unfortunately were not uncommon in the mid 19th century. They had three sons. Two died at very young ages and the third was killed when a railroad car in which the parents and child were riding left the track and overturned. 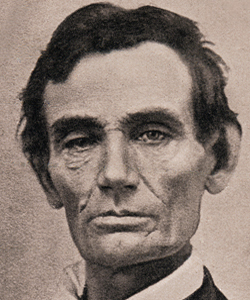 Holt mentions that although Pierce did not approve of Abraham Lincoln’s policies, he wrote Lincoln a heartfelt note of sympathy when one of Lincoln’s sons died in the White House. Pierce was a heavy drinker – a problem drinker, actually – during much of his life, including the years after Jane died in 1863. 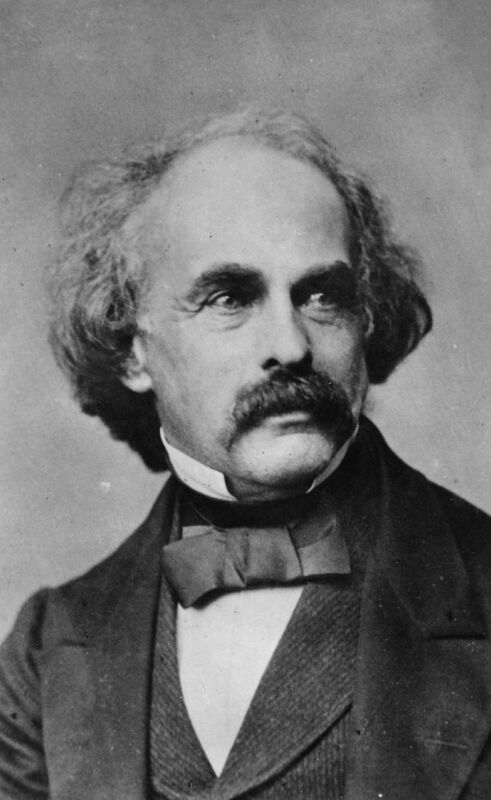 An interesting aspect of Pierce’s life was his compassion for other people – the most prominent of whom may have been Nathaniel Hawthorne, whom Pierce met while a student at Bowdoin College. The men were so close that when Hawthorne sensed that he was dying he asked to spend some of his last days with Pierce. Although Hawthorne could travel only with difficulty, Pierce accommodated him and set off with him on a trip that was to be Hawthorne’s last. Pierce found the writer dead in a room at a hotel where the two men had stopped on their journey. Pierce, who was well off, included Hawthorne’s children in his own will. We watched the 1970 television production of “The Andersonville Trial,” which was an adaptation of a 1959 play by Saul Levitt. The play is based on the trial in 1865 of Henry Wirz, commandant of the Confederate military prison at Andersonville, Georgia. Some 13,000 Union soldiers died while incarcerated there under inhumane conditions. Wirz was found culpable by a military court and was hanged, but the degree of his blame was the subject of controversy then as it is now. Levitt’s play focuses, as the actual trial did not, on the moral question of whether Wirz had an obligation in conscience to disobey his superiors and provide relief for the inmates. That issue may sound familiar to 21st century audiences as may another issues raised in the play — the rights of prisoners held under military law and the propriety of trying Wirz by a military court when the war had ended. The play, presented in three acts, stars Richard Basehart as Wirz; William Shatner as Lt. Col. Norton Chipman, who prosecuted Wirz; Cameron Mitchell as Gen. Lew Wallace, who presided at the trial; Jack Cassidy as Otis Baker, the civilian attorney who defended Wirz; and Buddy Ebsen as a physician who was assigned to the prison and testified at the trial. Shatner, Basehart, Mitchell, and Cassidy should have paid to appear in this production — it was that much of a tour de force for each of them. All of them gave intense performances that together provide a glimpse of the brutal and corrosive character and consequences of a war that has since been wrapped up in too much glory and nostalgia. Shatner has at times been rightfully criticized for chewing the scenery, but in this case he brought the appropriate passion to his role — an army officer who knew that the moral questions he was putting to Wirz also applied to him. One distraction, though, is what has to be the worst of the bad hairpieces Shatner has worn during his long career. Cassidy was a master of cool, and he used his controlled reactions to make Baker a chilling opponent for the over-the-top prosecutor. Mitchell was equally effective as Wallace — a lawyer and military man who later wrote “Ben Hur” — who was impatient with the proceeding itself and with the constantly bickering attorneys and unruly defendant. I last saw this presentation when it first appeared on PBS in 1970, but Basehart’s performance in particular remained vivid in my memory. Wirz — a native of Switzerland — was presented here as a man tortured by Chipman’s questions, by his own assessment of his behavior, and by his concern for the legacy he was leaving his family. Basehart was so thoroughly invested in these aspects of his character that it is almost as uncomfortable to watch and listen to him as it would have been to sit in that courtroom. I had forgotten about the performance by Michael Burns, who did a skillful turn as a shell-shocked soldier called to testify about the atrocities at the prison. His disoriented posture and vacant look was disturbing even as a dramatization. Burns was an interesting figure who left acting early in life and became a respected history professor and author. This production was directed by George C. Scott who played Chipman on Broadway. The only actor from the Broadway production who appeared in the television adaptation was Lou Frizzell who did not, however, play the same role. Some of the dialogue in this play is taken from the trial, but the overall portrayal of the proceeding is Levitt’s interpretation. Even so, it is a valuable reflection on the role of conscience in the Civil War and war in general.